The World’s Leading Global Qualitative Research Event Returns! The QRCA conference is the premier event for all qualitative researchers, with unparalleled opportunities to connect & network with other QRCA members, expand & strengthen skill sets via hands-on collaborative practice, learn from the best of the best in the industry, and refresh your perspective & reinvigorate your business with new methodologies, tools, and partners. New perspectives abound. Register by December 19 to save $150! You can also download the registration PDF form here and mail or fax to the QRCA office. The QRCA conference is the premier conference for everyone involved in the qualitative research industry, with unparalleled opportunities to connect and network with peers, expand and strengthen skill sets via hands-on collaborative practice, learn from the best of the best in the industry, and refresh your perspective and reinvigorate your practice with new methodologies, tools, and partners. 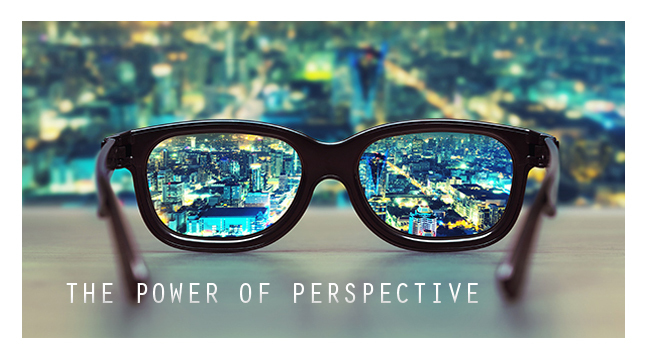 The theme of the 2017 QRCA conference is “The Power of Perspective.” As Qualitative Research Consultants (QRCs), our role is to better understand and channel the perspectives of our respondents for our clients. Los Angeles is the second-largest US city, teeming with people from all walks of life, and it is the film-making center of the world, where the entertainment industry creates new worlds for us, enabling us to see the world with new eyes. Using the city of LA as our backdrop, we look forward to empowering attendees to consider new perspectives in our work and how we see people everyday. Our speaker line-up includes a who’s who roster of QRCs as well as representatives from other fields (education and entertainment, to name just two), who will remind us of The Power of Perspective. We look forward to sharing this dynamic conference with you. First time new members receive a 25% discount on their conference registration. Please contact assistantexdir@qrca.org to receive your discount promo code. Restrictions apply. Cancellation Policy: To receive a 100% refund less a $25 processing fee, all cancellations must be received in writing by December 16, 2016. Cancellations between December 17-January 2 will receive a 50% refund. After January 2, 2017, there will be no refund offered. QRCA reserves the right to alter or cancel without prior notice any of the arrangements relating directly or indirectly to the conference. QRCA will not accept liability for any losses and/or damage attendees may suffer on account of alteration or cancellation, Please note: Your completion of registration indicates your permission to be photographed and recorded. Note: Please do not send credit card information via email. Per standard by the Payment Card Industry, QRCA has met the requirements of the Payment Card Industry-Data Security Standards (PCI-DSS).